Fiber is an important component of a healthful nutrition plan. The Institute of Medicine recommends daily fiber intake of 25 grams for women and 38 grams for men through age 50. After age 50, recommended daily fiber intake is 21 grams for women and 30 grams for men. Including high-fiber, low-sugar foods in your nutrition plan can help you meet your daily fiber intake requirements without adding excess calories and carbohydrates. Artichokes are an excellent choice to add fiber to your diet without unwanted sugar. A cup of cooked globe artichoke hearts provides you with 14.4 grams of dietary fiber and less than 2 grams of sugar. 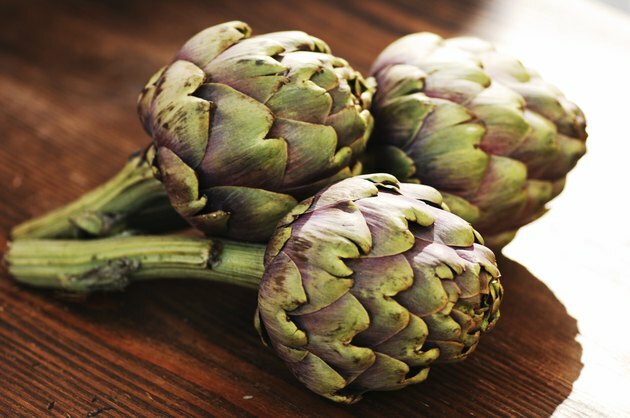 If you have not eaten artichokes in the past, try them with vinaigrette dressing, lemon juice or a low-calorie sauce. Artichoke hearts also add an interesting culinary twist to salads and vegetable dishes. Greens are a flavorful, low-sugar, high-fiber food. A 1-cup serving of beet greens contains 4.2 grams of fiber and less than 1 gram of sugar. 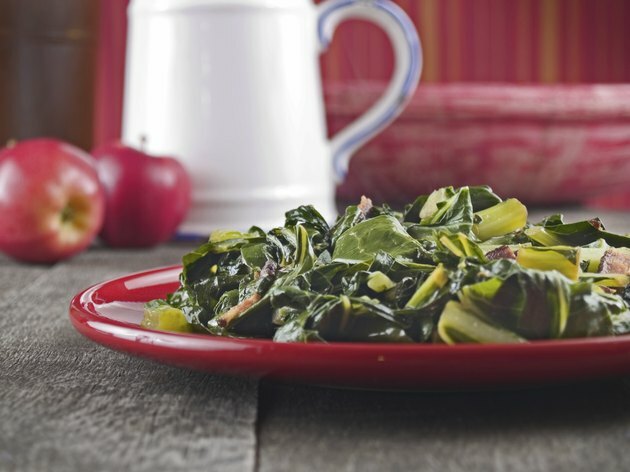 Collard greens contain 3.6 grams of dietary fiber and approximately 0.5 grams of sugar per 1-cup serving. A comparable serving of dandelion greens contains 3.0 grams of fiber and 0.5 grams of sugar. You can prepare greens as a side dish or add chopped greens to salads, soups or stews. Nuts are a good source of dietary fiber and protein. Many varieties are also low in sugar. 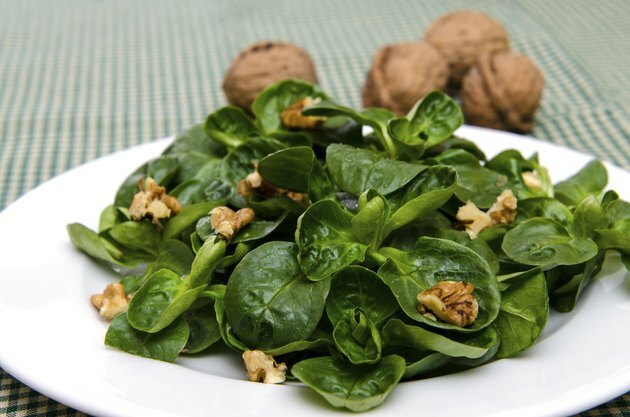 A cup of chopped walnuts provides 8.0 grams of fiber and approximately 3.1 grams of sugar. Filberts, also known as hazelnuts, contain 11.2 grams of fiber and 5.0 grams of sugar per cup. Unroasted, unblanched almonds contain 11.6 grams of fiber and 3.7 grams of sugar per cup. Try including some of these high-fiber, low-sugar nuts as snacks or sprinkle them on salads, cereals or vegetable dishes for a change of pace. Edible seeds are tasty, high-fiber, low-sugar foods and a good source of dietary protein. 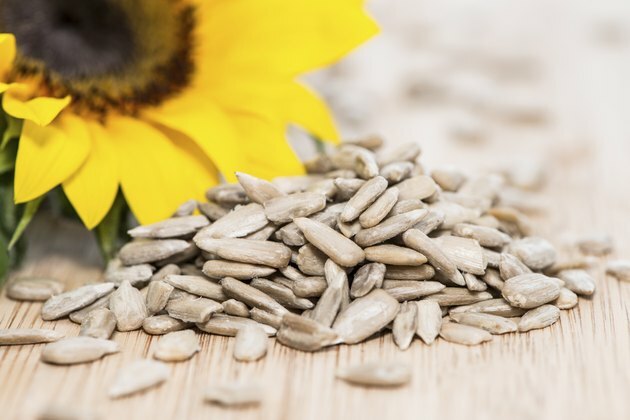 Roasted sunflower seeds provide you with 14.3 grams of fiber and approximately 4.2 grams of sugar per cup. 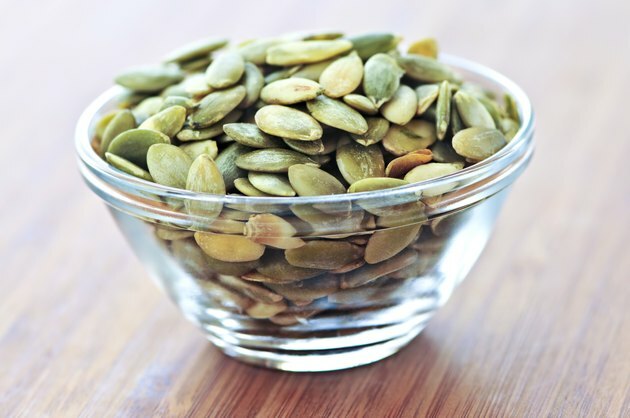 Roasted pumpkin seeds, also known as pepitas, contain 14.8 grams of fiber and less than 3 grams of sugar per cup. Sunflower and pumpkin seeds make good snacks and add a flavor twist to salads and other dishes. 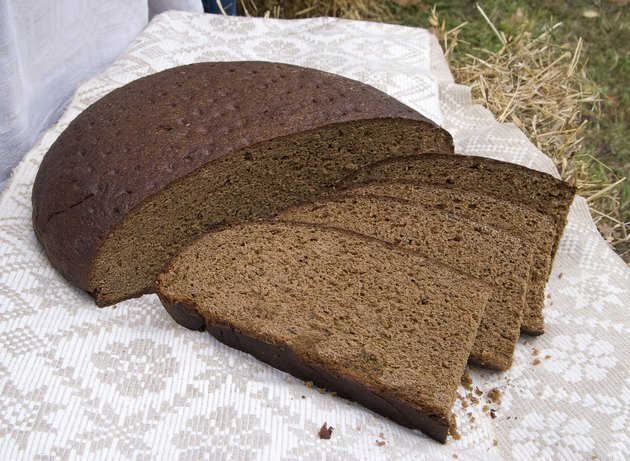 Black bread, made with coarse rye flour, is an excellent choice if you are looking for a high-fiber, low-sugar bread option. A large slice of black bread includes 2.1 grams of dietary fiber and less than 0.2 grams of sugar, compared to a thick slice of white bread containing 1.0 gram of fiber and 2.2 grams of sugar.